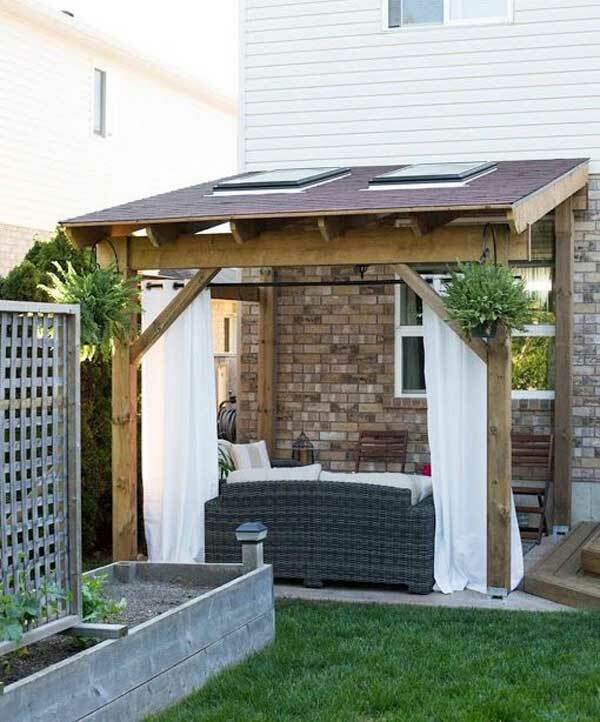 Although summer provides us great time to be outdoor relaxing and entertaining, the glaring sun in the day can be brutal, so we all need a way to get out of the sun so that we can still spend relaxing time outside. 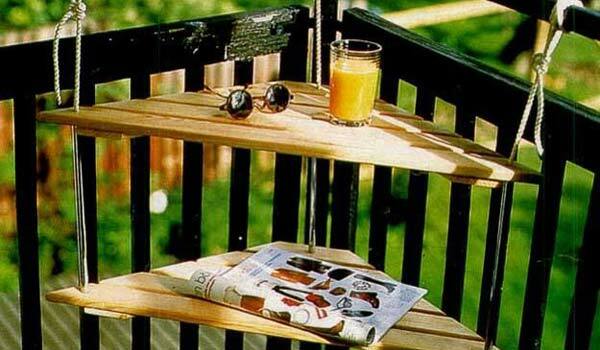 Fortunately, there are many great ideas about how to block the sun for your yard or patio. 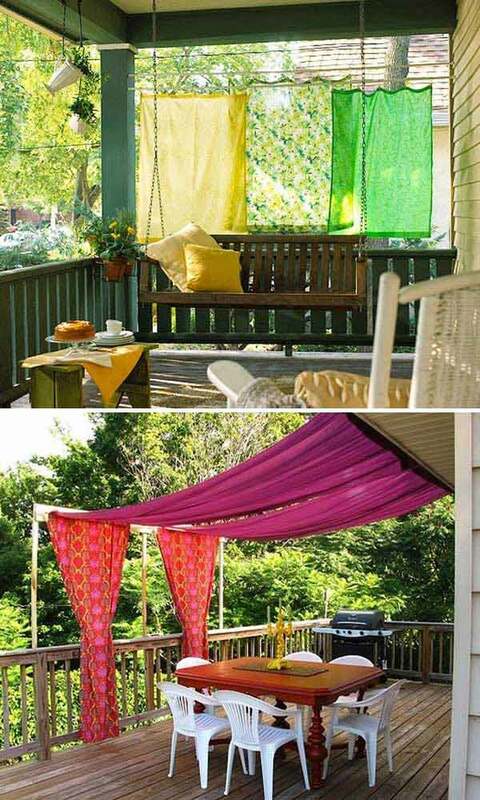 These creative and beautiful shade ideas are both practical and stunning. 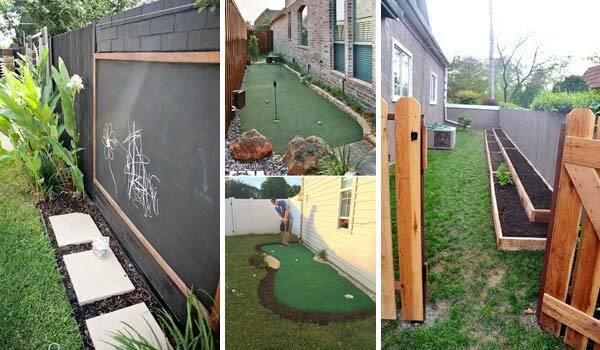 At the same time, they not only promote the curb appeal of your home and also protect your outdoor space’s privacy. 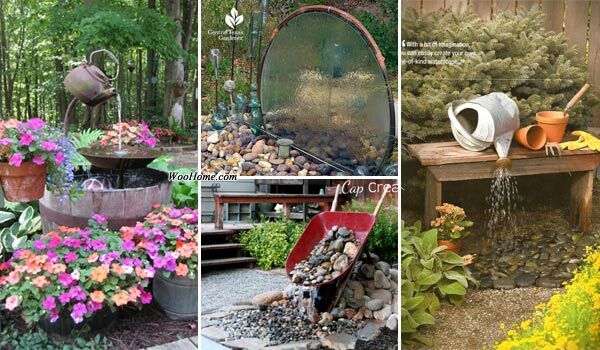 If you are happen to plan your outdoor shades, come and enjoy these ideas! 1. 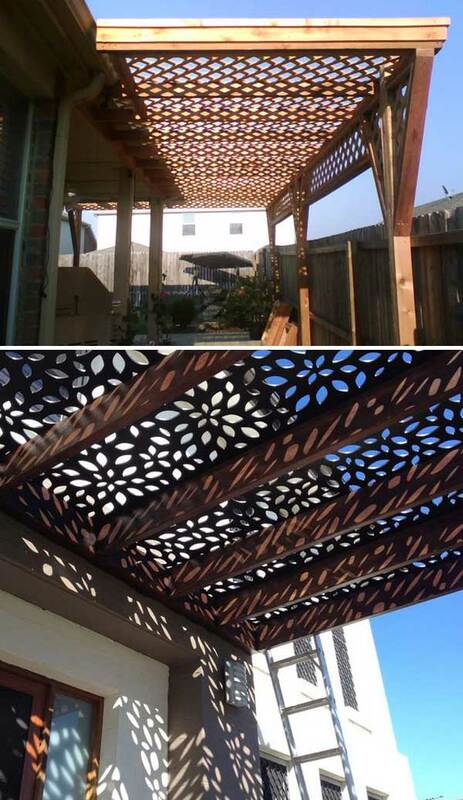 Roof screen on pergola with a fascinating lattice shade. 2. 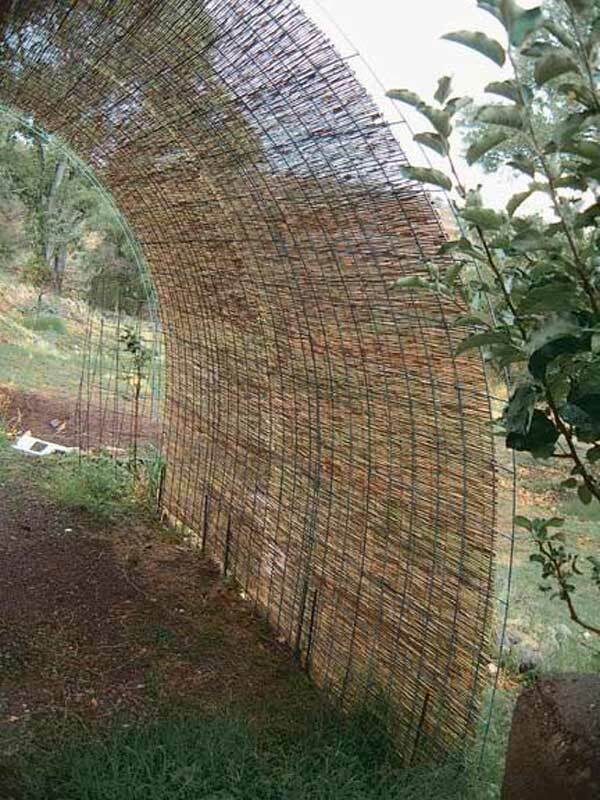 Lay water reed mats over panels used for fencing to create a shade screen. 3. 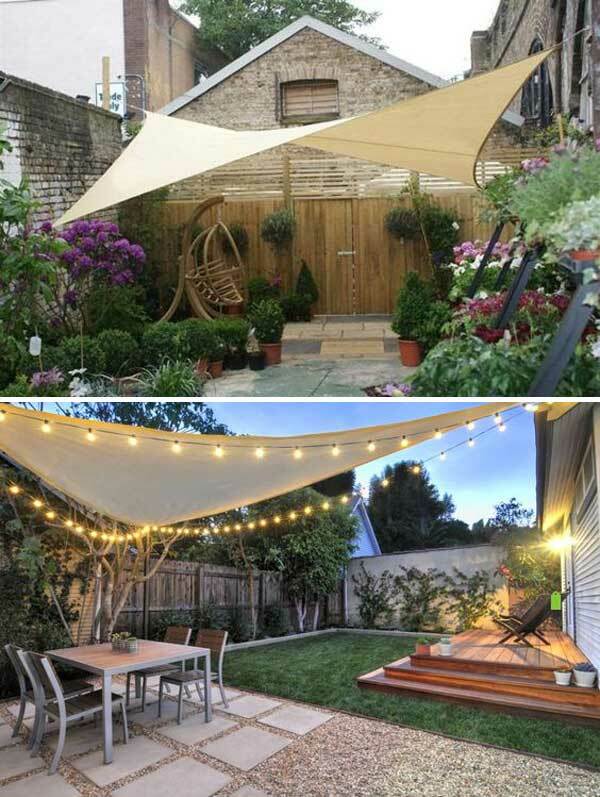 Add shade and style to outdoor living space with a slide-on wire-hung canopy. 4. 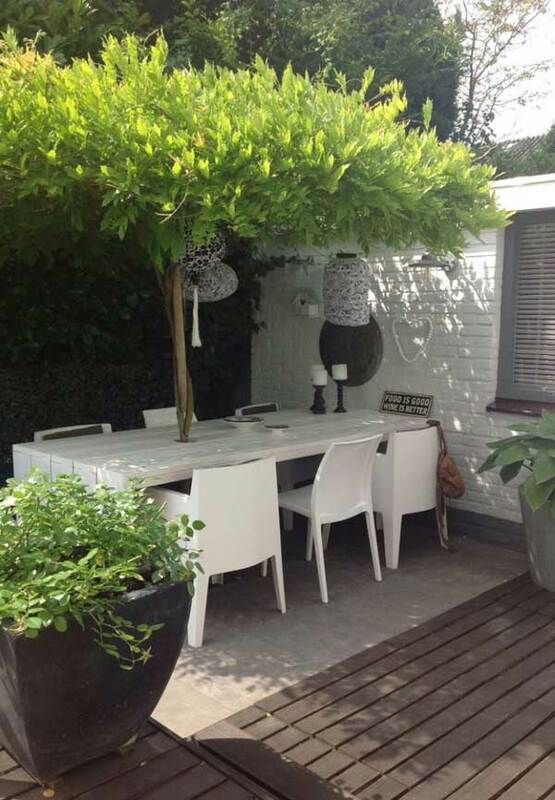 Create a tree umbrella by removing the fabric shade and then training vine to climb the center pole. 5. 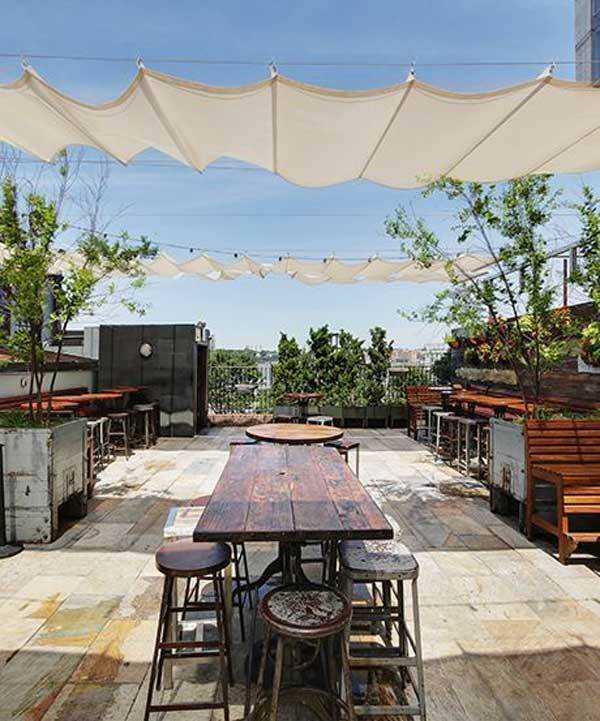 Hanging thin bamboo panel looks like floating in midair. 6. 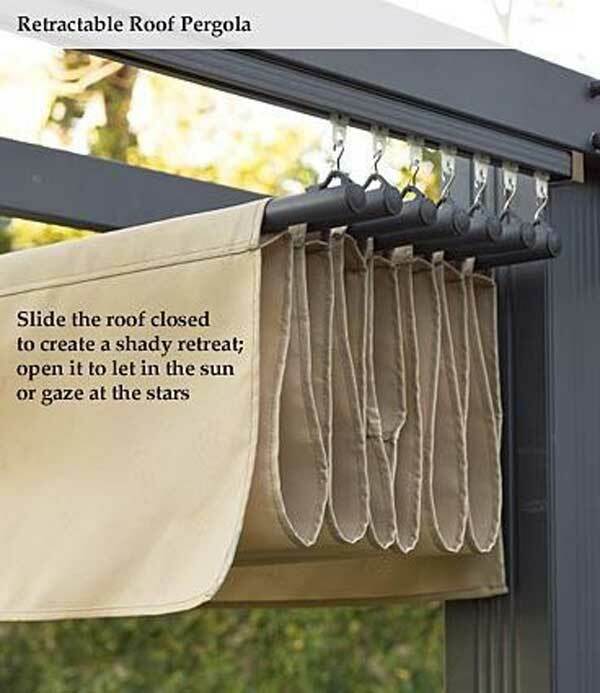 This sun shade sail adds gorgeous look to your outdoor space. 7. 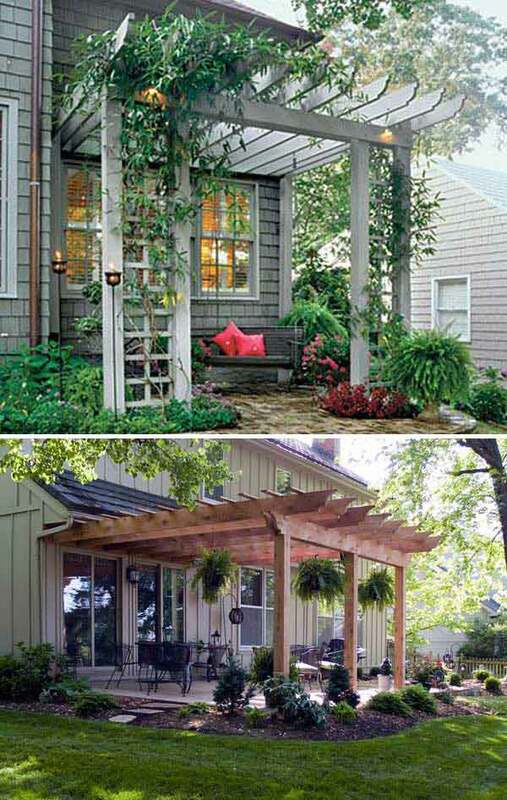 Climing plant covered arbor is perfect for summer shade. 8. 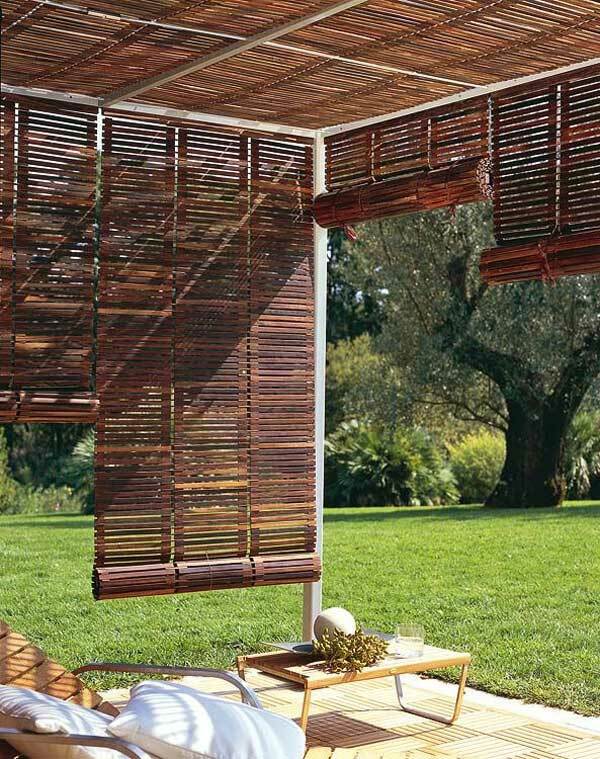 Use rollup venetian blinds for shade. 9. 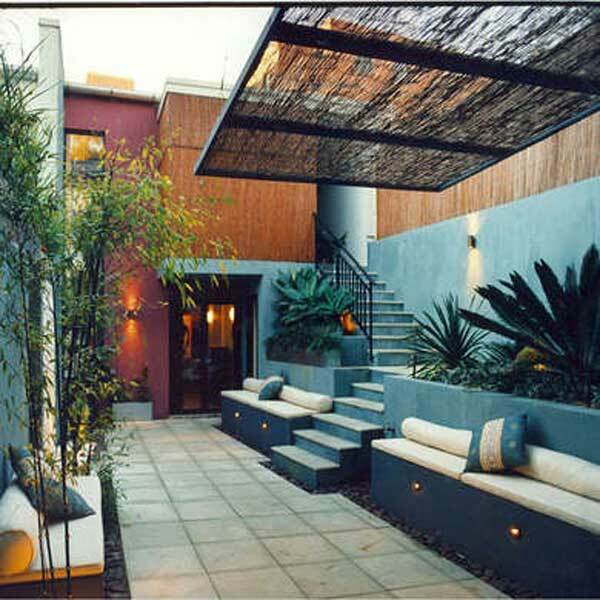 A covered patio with large curtains that work to keep the morning sun out. 10. 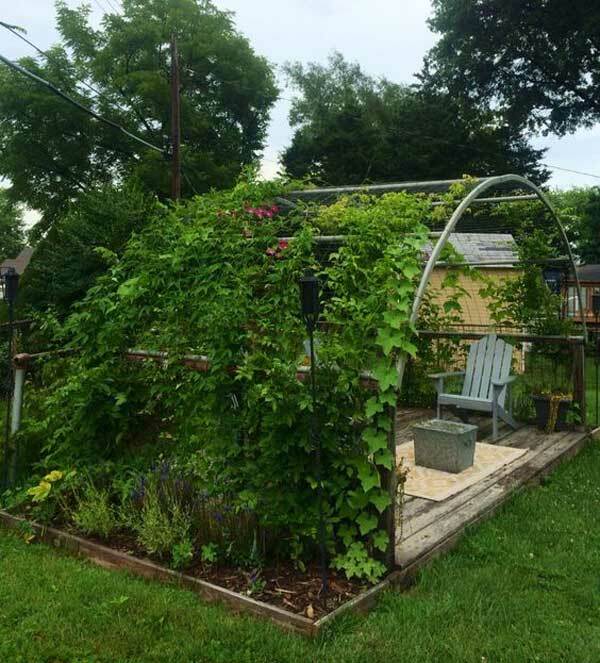 Re-purpose trampoline frame to create a structure for wisteria to cover to get your yard shade. 11. 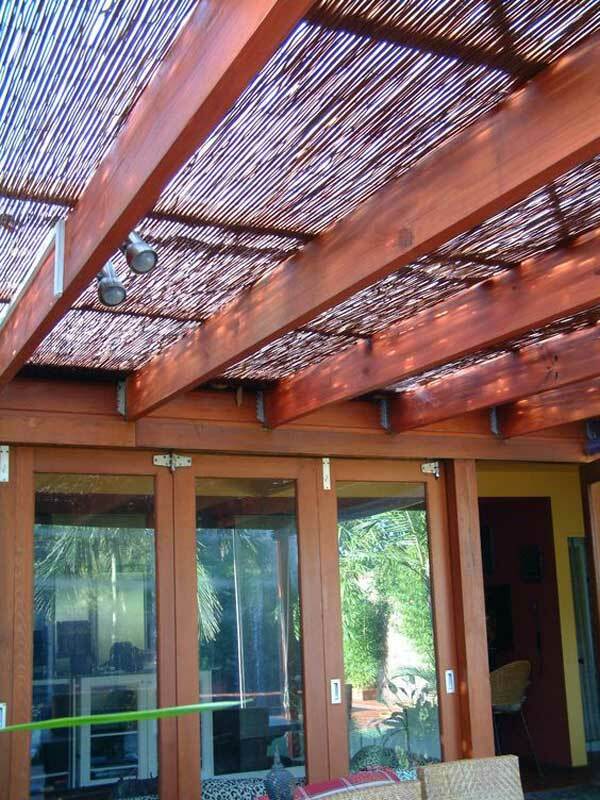 Bamboo blinds as a sunshade pergola. 12. 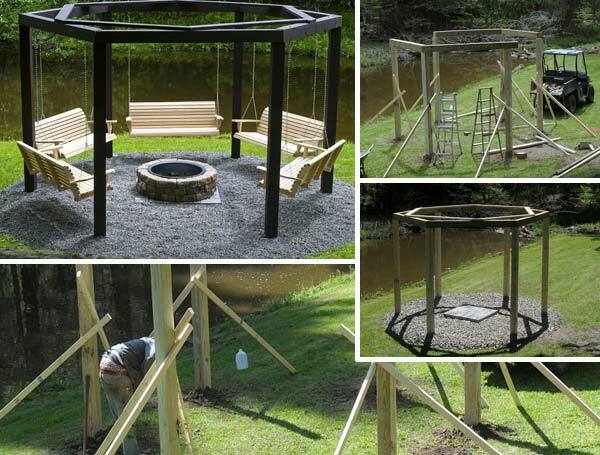 Steel cables for creepers to let you have a growing shade. 13. 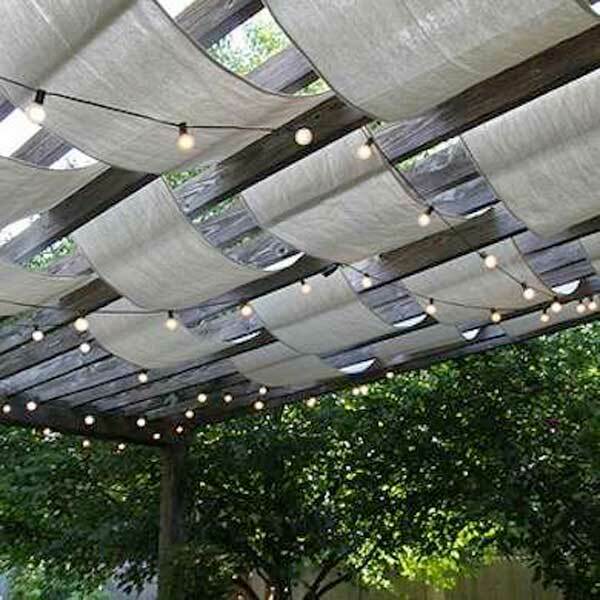 Drape fabric between the beams to create shade in your deck or patio. 14. 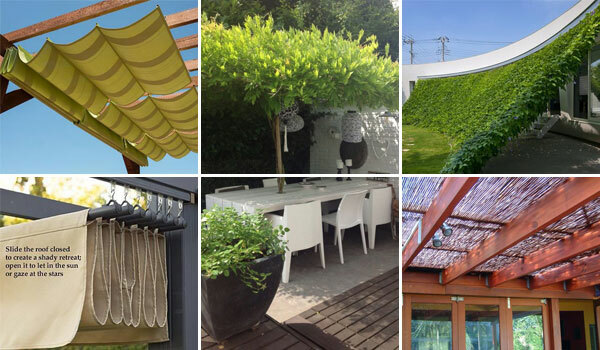 Add bamboo shade cover to pergola. 15. 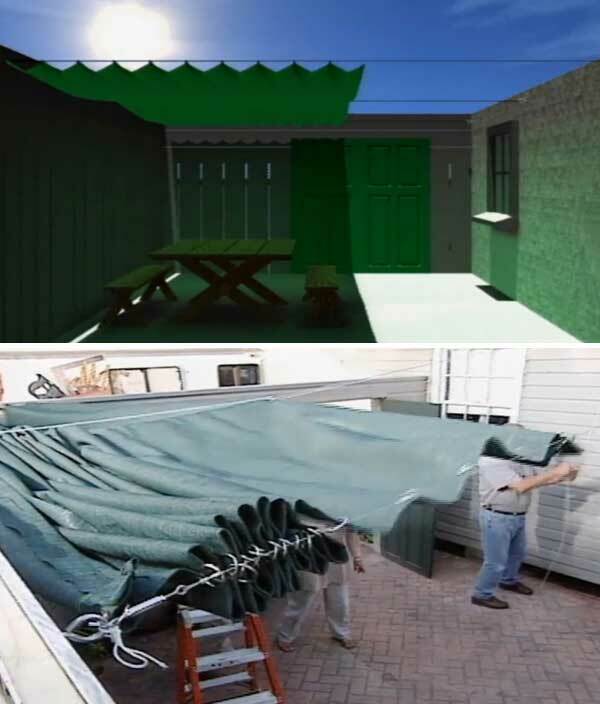 Build an easy and cheap retractable awning.